Inc. listed the 5 hardest jobs to fill in 2012. Having many friends who work in finance or on Wall Street, they face job insecurities and their jobs are largely tied to the economy, which still faces many challenges. However, meeting and talking with entrepreneus in the startup community, I’ve found a few common themes related to what the Inc article lists as hard to fill jobs. Being in the tech and startup world in NYC is an exciting time. There’s a transformation happening that is paving the road to make NYC a major technology hub within the next few years. An Economist article writes about NYC’s city’s embrace of high-tech and “tech clusters have emerged in Manhattan’s Flatiron District and Brooklyn’s Dumbo”. Venture capital is (still) flowing to startup businesses and NYC has overtaken the Boston area in venture capital funding for internet and tech start-ups, making it second only to Silicon Valley. “And in the third quarter of last year, it surpassed it in venture capital in all categories,” writes the Economist. Between 2005 and 2010 employment in New York’s high-tech sector grew by nearly 30%. Google alone has about 1,200 engineers in the city. Speaking of employment, a December 20, 2011 Wall Street Journal article says that if there is one common hurdle putting a damper on growth for many Dumbo startups, it is finding qualified programmers and engineers. As I’ve heard from others, the biggest challenge is recruiting. 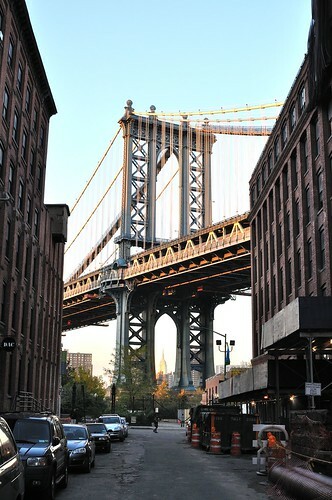 So NYC is doing its best to set up incubators in Dumbo and around the city. Mayor Bloomberg also called on universities to pitch plans to develop and operate a new tech campus on Roosevelt Island in exchange for access to city-owned land and up to $100m in public money. Both Cornell University, and Technion-Israel Institute of Technology won the bidding for this. In Brooklyn, politicians are pushing for an additional proposal for New York University and Polytechnic Institute to create an applied sciences campus at 370 Jay Street in Downtown Brooklyn, creating a hub for science and tech closer to Dumbo and surrounding communities. These centers of learning will keep students and graduates in NYC to build world class technology companies. According to the city’s analysis, over the next 30 years the campus will generate more than $7.5 billion in economic activity, with 600 companies spinning out of the new schools directly. While I’m not ready to launch at this stage, we are looking for people in all 5 areas. Contact me on @hideh if you’re interested.